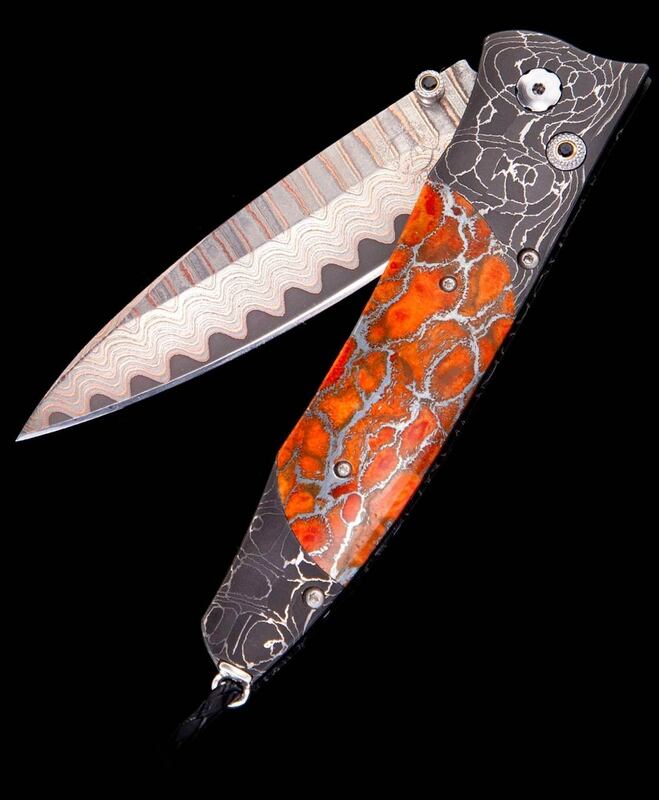 The Gentac ‘Blazing’ features a beautiful frame in etched ‘T-Rex’ damascus by Delbert Ealy, inlaid with ‘zinc matrix’ apple coral. 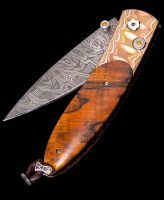 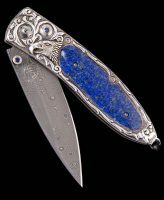 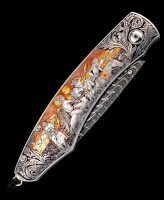 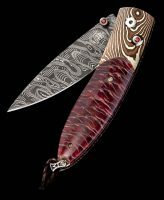 The blade is William Henry’s ‘Copper Wave’ damascus with VG-5 core; the one-hand button lock and the thumb stud are set with spinel gemstones. 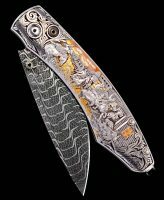 The ‘Blazing’ features some of the exotic materials and forged metals that are the hallmark of William Henry’s collections; a distinctive personality statement to be worn and used for a lifetime.